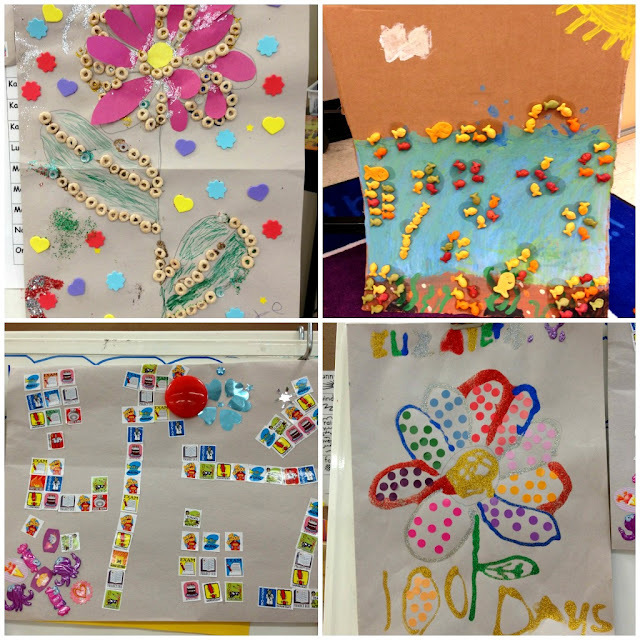 Vic West Elementary Parent Advisory Council: Celebrating 100 days! 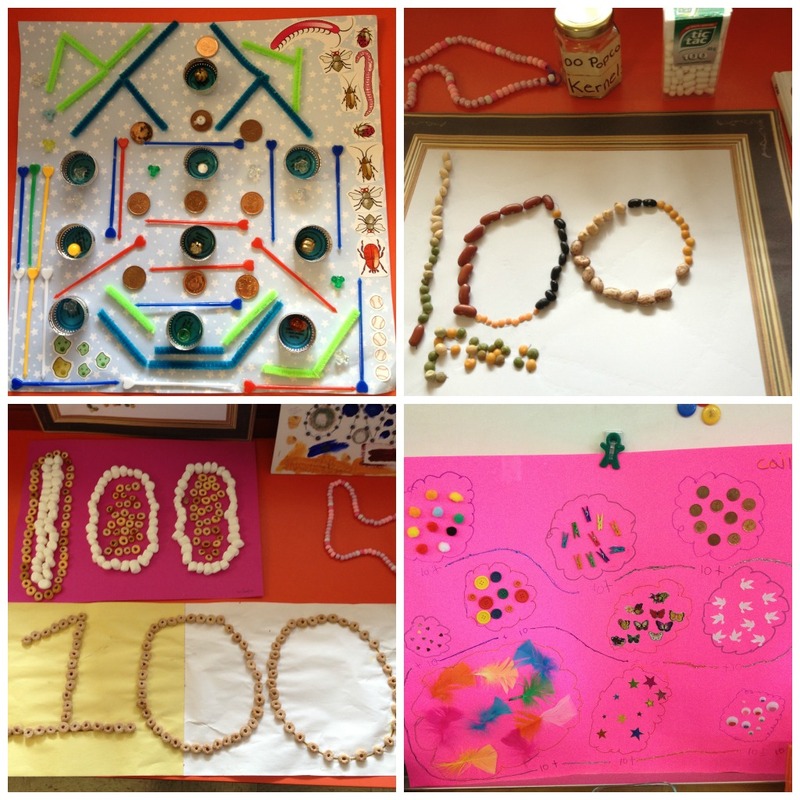 It was an exciting time at Vic West Elementary as our children celebrated the 100th day of school! 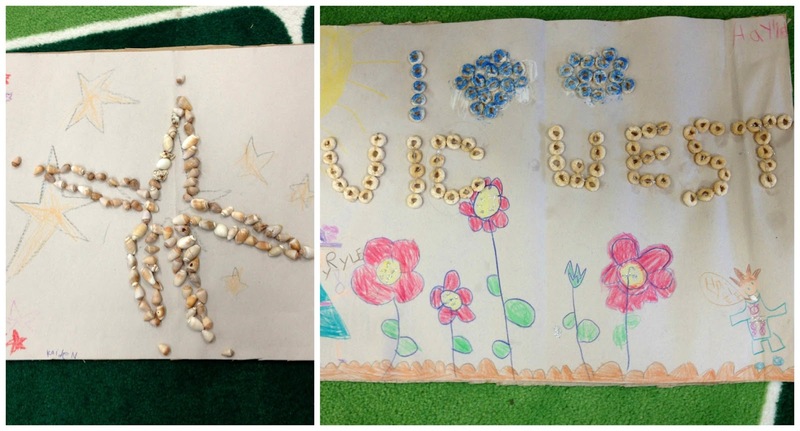 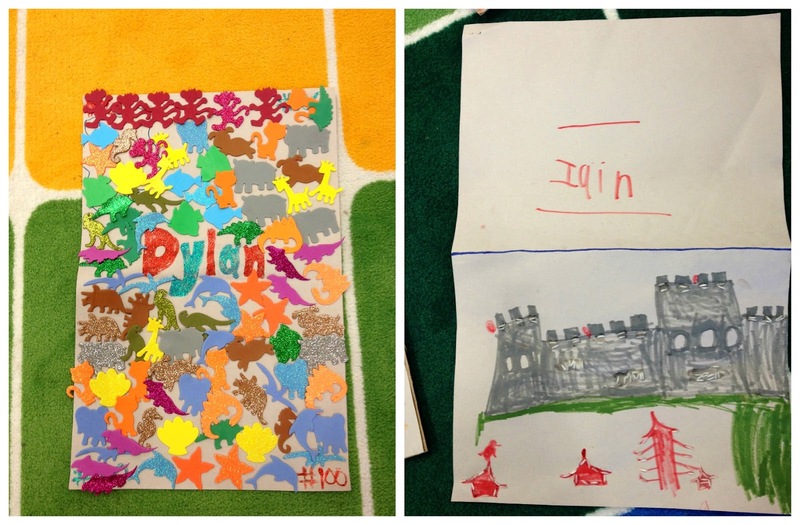 In addition to wearing their jammies to school, students in some classes were challenged to create an original work of art using 100 things from home, and they accepted the challenge with creativity and innovation. 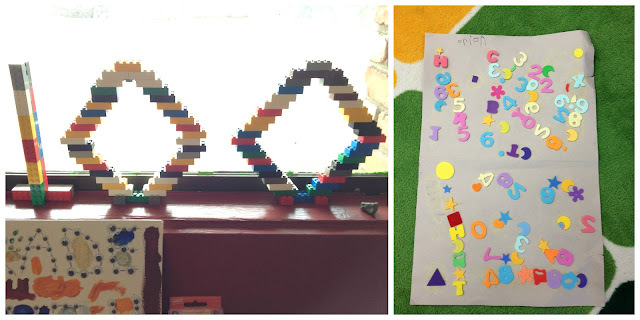 It's fascinating to see how the same set of instructions can be interpreted and expressed in such a variety of ways. Take a look below for some examples of young minds and hands at work in celebrating the 100th day of the 2012/2013 school year.